I’m now back from my trip to Germany and the Netherlands. 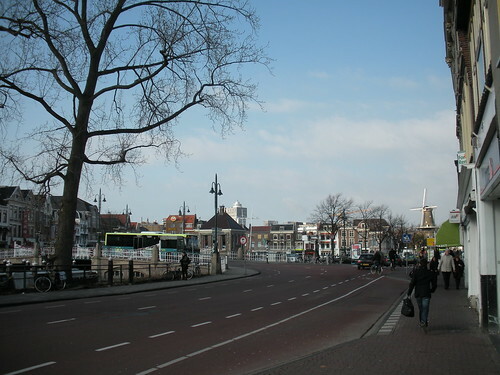 While abroad I visited Leipzig, Germany, and three cities in the Netherlands: Leiden, the Hague, and Amsterdam. It was a long trip — I was away a total of 11 days, which is about my limit for traveling — but I had a great time. The weather was a little dreary for most of the trip — cold, overcast, sometimes snowy, and a little rainy towards the end. But I learned a lot about the study abroad programs in Leipzig and Leiden, and I couldn’t have had more fun with PJ in Amsterdam. We thoroughly enjoyed our three-day weekend together. As I mentioned before I left, the goal of the trip was to learn more about study abroad opportunities for my students in Leipzig and Leiden, the latter of which is the center of a multi-university program that matches students up with European faculty allowing them to work together on a research project. A couple of my students are currently interested in the program, so I was there to check it out. 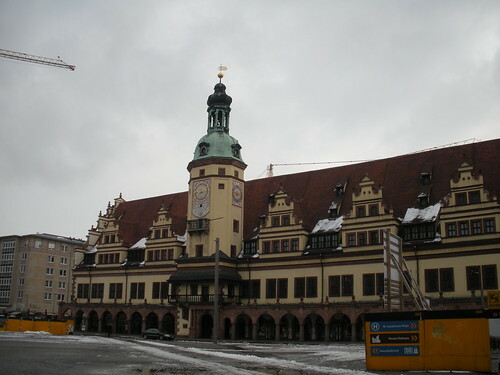 The first part of the trip, though, was in Leipzig, where my university has had an organized study abroad program for the past ten years. That program has been declining in participation, so my goal was to look for ways to make it more attractive for my students. Both of these visits were very successful. I learned that professors in Leipzig would welcome more exchanges with students like those in my college. The faculty I met with were particularly enthusiastic about the possibility of arranging internships with my students. In this way, the program would be very similar to the one I visited in Leiden. Part of the fun of this trip was that most of it was planned for me. My university arranged all of my flights. 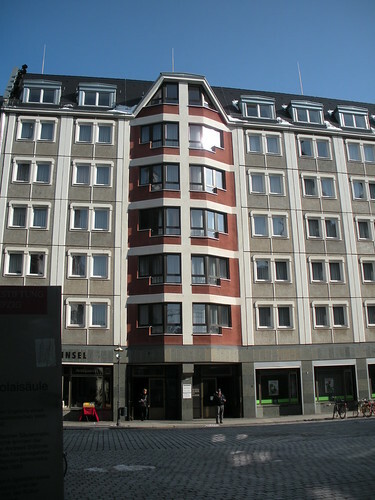 In Leipzig, the International Center arranged for me to be picked up at the airport, I stayed at the university’s guesthouse (pictured here), and a graduate student chaperoned me around to almost all of my meetings and meals. The Leiden part of the trip was a little less organized. The university helped arrange my hotel, and a staff member kept me company during my morning visits. The director of the program met me for lunch and drove me to my last meeting. That part of the trip was really just half a day. In both cases, my hosts weren’t able to arrange for me to meet with students or with very many professors. Leipzig was on break while I was there, and Leiden never seemed to get everything together. (I did have the opportunity to meet with one of my former students who is currently spending the year in Leipzig, and that was a lot of fun.) Despite the limitations on my visit, both of these site visits were successful. In between Leipzig and Leiden, I visited the Hague for part of a day. It’s just a 15 minute train ride from Leiden. While there I visited two museums and walked around a bit. After Leiden, I took the train up to Amsterdam, where PJ joined me for a long weekend. We walked all over the city, went to a few museums, ate well, and just generally had a great time. I’ll blog about the details in the next couple of weeks. So, I really enjoyed the trip. I had thought about going back to Germany this summer, but I think I’ll be going to London instead. I would like to go back sometime, especially when it’s not so cold and wintry!